Is “Real Men Love Jesus” the Most Problematic Country Song of the Year? We’re seeing a resurgence of female power in country music right now. Kacey Musgraves is making waves across multiple genres with her traditional sound, Carrie Underwood just put out the powerful track “Smoke Break,” and Maddie & Tae recently debuted with what may be the best country record of the year so far. Is it happening? some are beginning to think. Is the bro country era finally over? 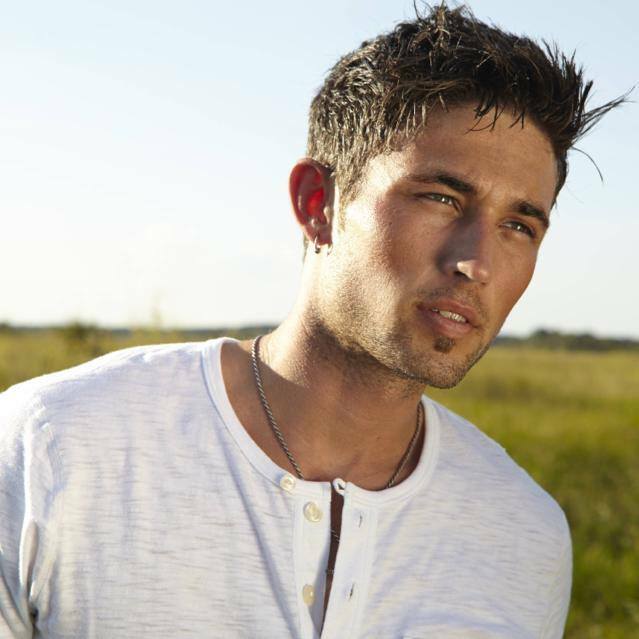 Despite significant buzz surrounding his first single “Kiss You In The Morning,” Michael Ray hasn’t been able to maintain much of a presence. His self-titled album, released in August, has only sold a little over 20,000 copies so far. It’s pretty easy to see why when listening to the record. His vocal abilities are middle-of-the-road, his songs are forgettable, and he doesn’t seem to have much of a personality. Another pretty boy with a microphone. If he’s going to stand out among his fellow bros, Ray needs to surprise us all. “Real Men Love Jesus” is that surprise. Ray is taking a risk with “Real Men Love Jesus” (written by Lance Miller, Adam Sanders, and Brad and Brett Warren)—but not for the reason he may think. For the few that have recently taken their religion to radio, the payoff is relatively good. Underwood struck gold with “Something In the Water,” and Keith Urban’s subtly Christian jam “John Cougar, John Deere, John 3:16” found success on airwaves as well. No, it isn’t the “Jesus” part that less conservative listeners may have a problem with. In fact, aside from the title, Jesus is hardly mentioned. It’s the “Real Men” part that raises eyebrows. So… let’s just make this clear. Real men have to love fishing? What if they don’t live near a lake? Can they not be real men, in that case? What if they prefer baseball to football? What about basketball? Or NASCAR? What if they want to spend time with family and friends instead of working more than forty hours a week? Or worst of all, what if they aren’t straight?! Gender stereotyping is quite the hot topic for country listeners these days. Women are often subjected to objectification, from tan legs to painted-on jeans to busting a move on tailgates or dance floors. Even Ray is guilty of this in “Real Men Love Jesus”: the “real men” of this song enjoy “A pretty girl out on the dance floor spinnin’ / Round and round and round they go.” Country females have to go to extremes to take back power and define themselves. In 2014, “Girl In a Country Song” by Maddie & Tae was a wake up call. The tomatogate debacle this year was another. Slowly but surely, country listeners are beginning to see the negatives of this limited characterization. What do we make of it, then, when “Real Men Love Jesus” chooses to similarly characterize what a good (let’s face it, that’s what “real” means in this case) man is? Sure, Blake Shelton did much of the same on “Boys ‘Round Here,” as did Florida Georgia Line on “Round Here” and “This Is How We Roll.” Those examples, though, are so ridiculous that they can’t be taken 100% seriously. Shelton’s song starts with the iconic “red red red red red red red red redneck” line, which sets a hilarious tone for the rest of the track to play off of. In the case of Florida Georgia Line, we’ve come to expect nothing less than a Bud Light-soaked pool party. They are the ultimate bro country extreme, meant as nothing more than an escape from real life. There is no way their songs could represent an entire lifestyle. Meanwhile, “Real Men Love Jesus” is a mellow country-pop ballad with sentimental phrases about getting through tough times and calling home to say “I love you.” It’s completely serious—and as a result, completely cringe worthy. 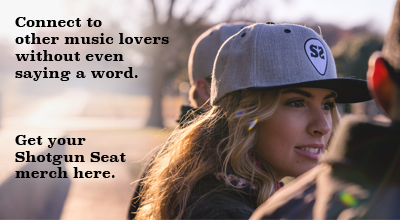 For men listening to the track, the small-minded message could be dangerous. A man who doesn’t love sports is not a “real man.” A man who isn’t Christian is not a “real man.” A man who likes other men is not a “real man.” This perspective isn’t unique to the song, though. Gender roles are introduced early in life and reinforced throughout. The role filled by the “man” is one of toughness. This toughness can be achieved through loving sports, working hard, and protecting women, who are considered weaker. “Real Men Love Jesus” is just another reinforcement of this concept. What Ray fails to see is that this “guy,” this “real man,” is not getting overlooked at all. This is how a good chunk of male country singers could describe themselves. Luke Bryan? Sam Hunt? Eric Church? One way or another, they fit the criteria. At least Bryan, Hunt, and Church have their own distinct production styles and interesting perspectives in their songs. Ray has none of this. He is one-dimensional, much like the “real men” he sings of. This isn’t a good look for a genre often accused of being old fashioned, or worse, bigoted. Michael Ray is not the first (and likely will not be the last) male country singer to stereotype men in such a problematic way. Nonetheless, “Real Men Love Jesus” comes at a strange time. If sexism and intolerance in country music are becoming less of an issue, how does a song like this even exist? “Real Men Love Jesus” will be released, probably hit the Top 10 on the Country Airplay charts, and then quietly fade into the distance. Still, the damage will be done—and we cannot let this damage go unnoticed. I love this song and I don’t see a single problem with it.